The New Yorker has chosen the statute pictured to the left as one of the "nine objects" that the magazine has determined best symbolize last year. You can read the entire article, and find out about the other eight iconic objects selected by The New Yorker, by clicking this link. The magazine's commentary on the selfie statue is found below. This year, I'm suggesting a focus on more "collective" activities, as opposed to individualistic efforts. But keeping the focus on governmental buildings, and governmental issues, should still be right in the center of the picture! The Selfie Monument. Recent discussion of public statues and monuments has tended to focus on the removal of those that invoke a divisive past. 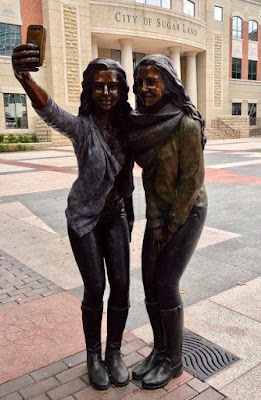 But at least one new public sculpture was also notable this year: a rendering, in bronze, of two young women and a smartphone, which might be the first public monument to selfie culture. A resident of Sugar Land, Texas, evidently paid for the object, which was installed in a public plaza in May—and proved divisive. 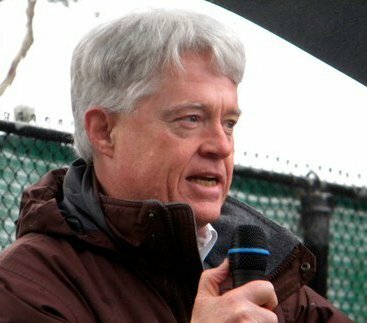 “I’m embarrassed for everyone,” one citizen tweeted. Others, however, simply took selfies with the object.